Classic playing postures forconcert, jazz and flamenco guitar. ErgoPlay guitar supports will lead to a perfect as well as comfortable posture. It helps put the guitar in its optimal playing position and can eliminate back problems caused by poor positioning. The ErgoPlay guitar support is made of high-quality light-weight aluminium. A support of cellular rubber ensures pleasant support on the thigh. 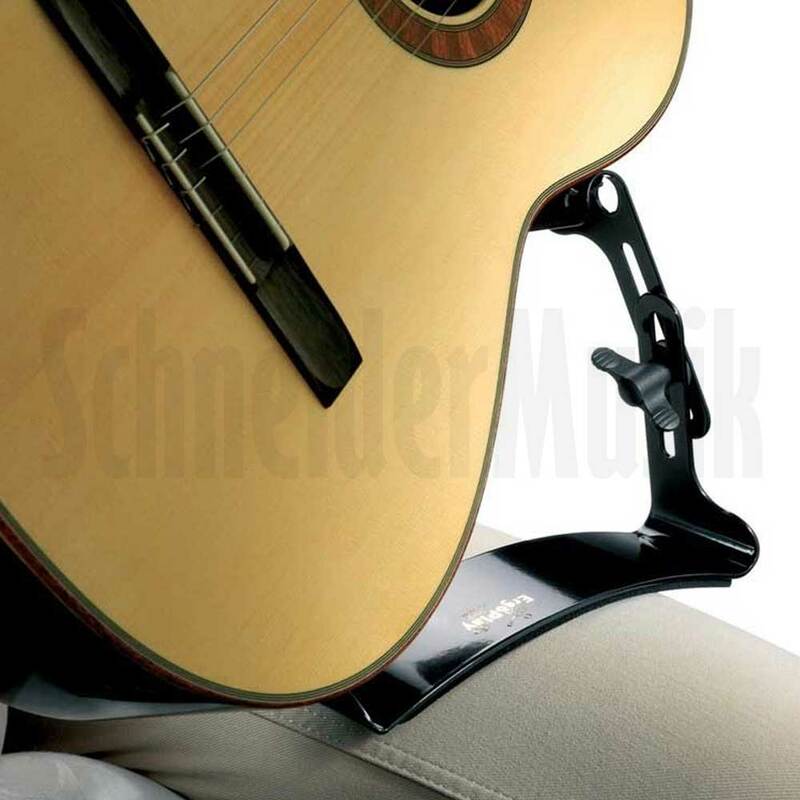 ErgoPlay can be securely and stably attached to the guitar using variable suction cups.